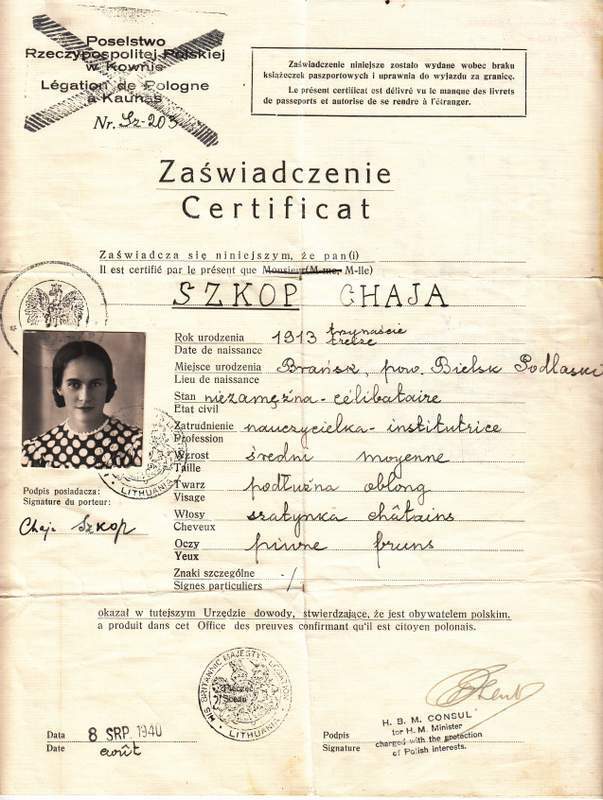 Meet Chaja Szkop (Polish spelling,later would have been spelled Chaya Shkop) from Bransk, born in Bielsk Podlaski in the Bialystok region of the Polish border. She would have been 26 years old at the outbreak of the War, was unmarried, worked as a schoolmistress. There was a large Jewish community (around 2400) before the War.This area was handed over to the Russians (after being taken over by the Wehrmacht) as part of the Ribbentrop-Molotov pact – thereby sparing the Jews until 1941.Many Jews fleeing from the Germans crossed the border during 1940 – and some were sent to Siberia by the Russians. Another (older) woman from the same town, with the same name, but married, was murdered in Treblinka. The Shkop family are related to a famous Talmudic scholar and one of the leading rabbis before the War named Rabbi Shimon Shkop – who was a rabbi in the town of Bransk in 1907. Our passport holder crossed over from the Russian occupied area into Lithuania in 1940 using this passport, there is another stamp from Vilna. Regarding the Chinese visa. 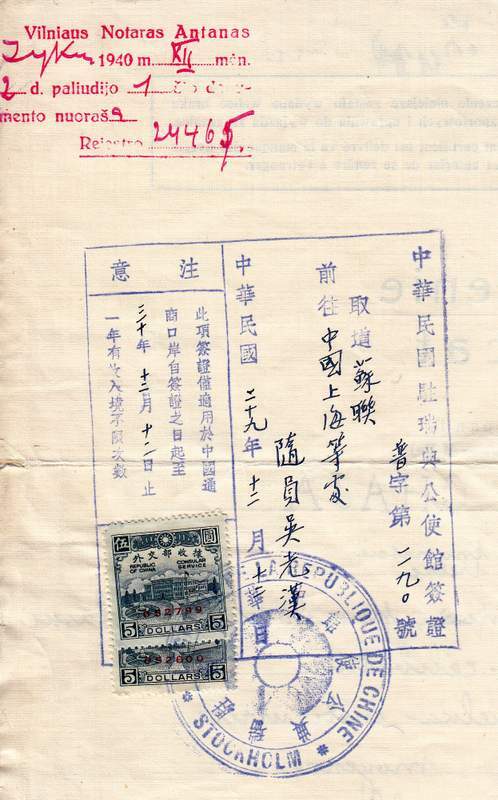 Indeed – until August 1939 – no visas were required to enter Shanghai – but this document is from 1940.The visa was issued 12 Dec 1940 by the Chinese consul in Stockholm / Sweden – and that is unusual. 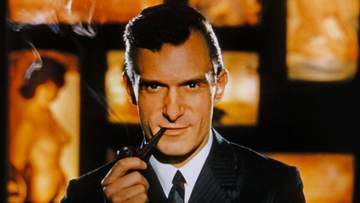 Why would a woman who made it to neutral Sweden continue on to Shanghai? …an article in the China Press of February 26, 1940 for example, stated that visas are NOW required for Shanghai…and further…a letter toNew York and Lisbon mentioned clearly that the Chinese consul in Stockholm is granting visas without difficulties. 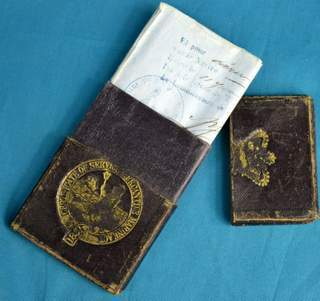 A most unusual and interesting travel document during the war and Holocaust and here are the pictures. 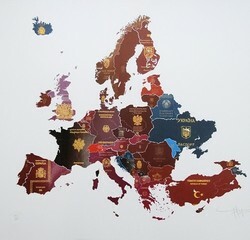 Copyright © 2019 Passport-collector.com. All Rights Reserved. No content on this site may be used without written consent from Passport-Collector.com!